Over the last couple of years, myself and my sister have built up quite the collection of flower crowns, bobbles, hair clips and the like. And what with it being summer, its the perfect time to wear them and show them off! 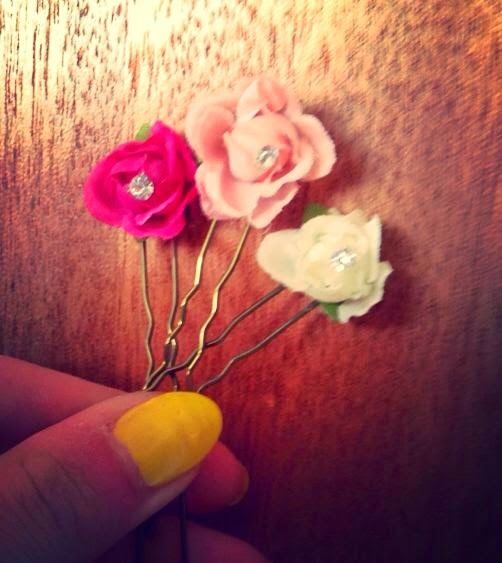 These little bobby pins were bought this year and from Primark (a shop which will be mentioned a lot in this post!) and came in a pack of 6. I find they are really cute to put in a bun and they're quite subtle. This is another clip from Primark, bought the other week for the grand total of £1. I thought this would look nice in front of a bun, which it does, and when I do milkmaid plaits over my head, the flowers add a little something different to that. And also help to secure the plaits to the top of my head. New Look came up with this gem, for £2.99. It's an over sized bow, which I've been wearing at the back of my head- pulling bits of hair from the front back- or again (you guessed it) with a bun. If you hadn't figured it out, I like to wear my hair up in a bun (I feel if the sun is out, then I want my hair out of my face and off of my neck) and this flower bobble is called a bun topper. Its from Primark, and cost £1.50. I got this a few weeks ago, before I noticed they've started taking in more colours which I have a feeling I will be getting. These two flower crowns were purchased while I was in Turkey last year. I think the minty blue one is really pretty because its a different colour, and is cutesy with the dotted material around them. The both look fairly easy to replicate- made of a bit of wire. My mum actually made this next one, we got the idea when we were in a vintage shop last year and my sister bought some of their hair ties. We had a dress that was far too long and my mum was taking up, so we hemmed the extra material and added wire to the inside. 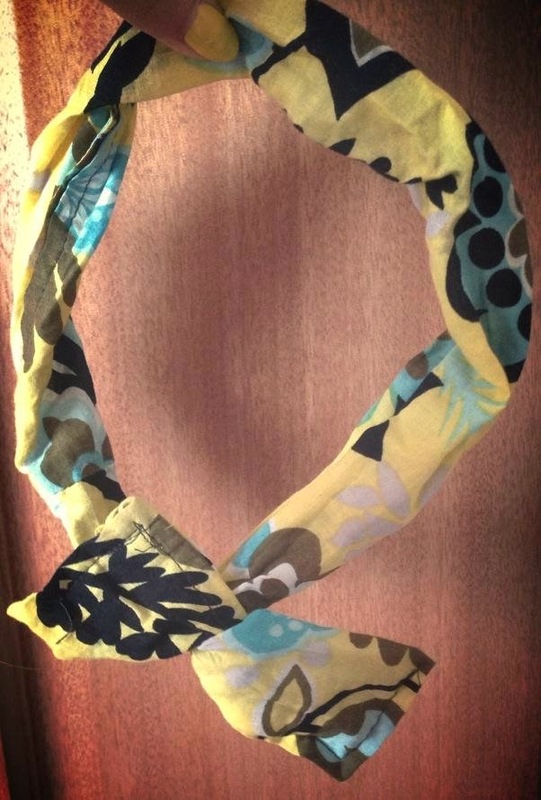 It can bend and be shaped how you like and is so easy to make, that you can have lots of different patterns! Another Primark purchase, this flower crown is from a couple of years ago, but I wear this one the most. Its quite subtle, and small and because I don't feel like my hair has a lot of volume when down, I think that this style suits me more. And because its white, it goes with a practically all my outfits. This one, I got a few years ago and is just a hair band but I like to use it when my hair is up. I think it is from New Look, but because it was so long ago I can't actually remember! What I really like about this one is the beading on the inside of the flowers, which makes it look a little bit fancier. 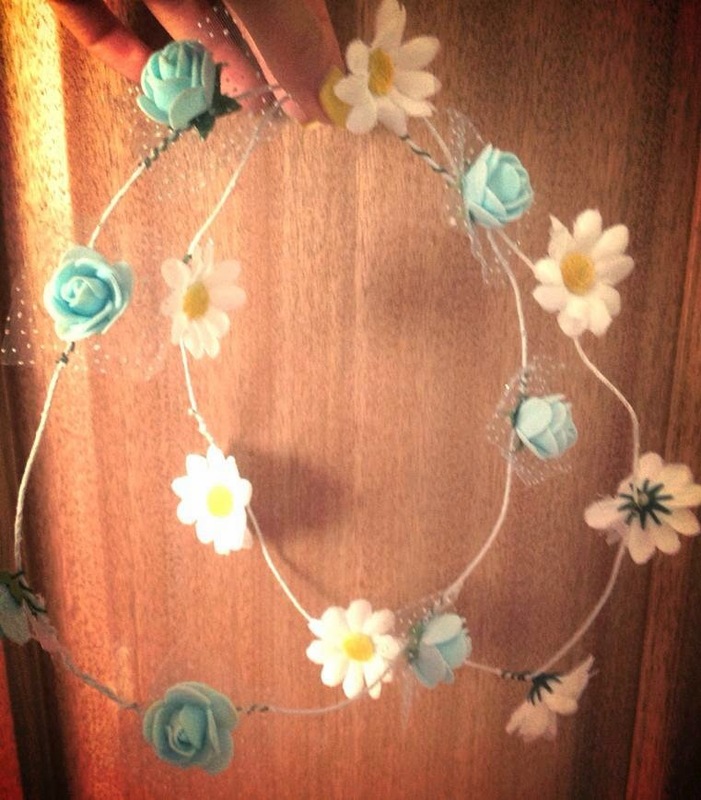 Finally, this flower crown was bought last year, and is from Claires. I love the colours of the flowers, and the it has a bit more detail and texture with the different types of flowers and leaves on it. And again, this one can be worn with hair up or hair down. There we go! Whether you try your hand at making your own, or you find some cheapo ones from stores like Primark, the floral hair accessories trend is one that everyone can get stuck into and create a collection of to wear with whatever and where ever! I love flowers because they add a little something to an outfit. They can really help to make an outfit. 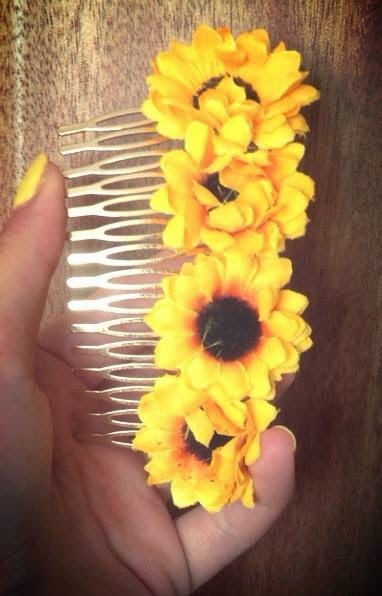 Great post, I think you can find some gorgeous hair accessories in Primark, I love them. Thanks, I love Primark and everything there is such a bargain! 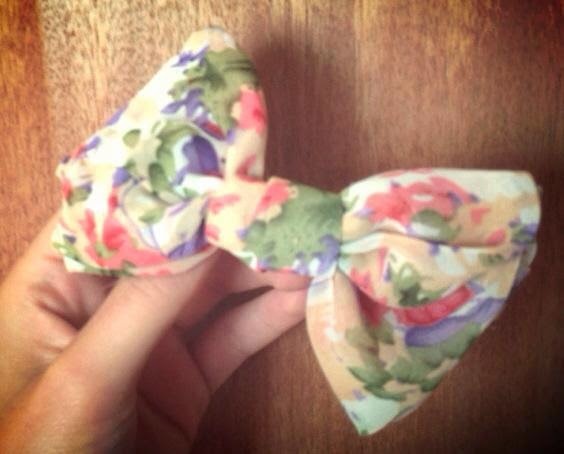 I actually picked up MORE in Topshop's sale yesterday, they have bows for £1! Too good to miss, and you can never have too many hair accessories. Those flowers look so cute!